There’s a new pro gaming league coming to the USA. But does it finally make StarCraft a sport? I was about to polish off an article on whether or not Amy Adams passes for a high jumper in her Oscar-nominated turn in The Fighter (spoiler if/when I do finish it: she doesn’t) when this huge piece of news came over the wire, announced by Geoff “InControl” Robinson: Russ, the founder of GosuCoaching, has assembled and funded the North American Star League—an apparent American counterpart to professional Korean StarCraft leagues and championships (such as GOMTV’s Global Starcraft II League or the World Cyber Games) that have held almost mythological status for gamers around the world for years. Well, despite being quite fond of Starcraft 2, I’ve spent some time recently on the site bashing it, so I figured I’d give it some equal time and talk about this development, which may or may not endure, but is important whether it succeeds or fails. 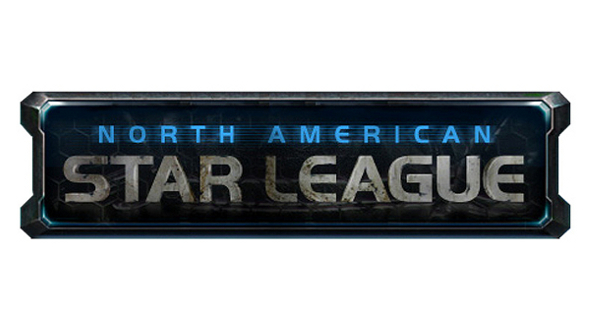 What makes the North American Star League special? Frankly, the prize pool — $100,000 in prizes for the first two seasons and $200,000 for the third season. These are the numbers that turn heads – numbers that can go a long way to sustain the livelihoods of professional StarCraft players. In Korea, where StarCraft is an institution, and where StarCraft 2 has yet to truly surpass the original, six-digit payouts are not unheard of for tournament winners, and five-digit payouts are common. There are larger numbers that go out in the form of endorsements both inside and outside the United States for professional gamers, but prizes on this level for U.S. StarCraft tournaments have the potential to be a game-changer. The payouts in Korea for playing StarCraft are so much higher than anywhere else that progamers specializing in StarCraft generally have to move to Korea to hope to make a living, which in turn weakens prospects for domestic professional scenes. Neither America nor Europe can truly feel legitimate in pro StarCraft gaming with their best players playing somewhere else. Why does StarCraft matter? Because it has long been the flagship game of eSports, a movement to legitimize video games as a mainstream spectator sport. In South Korea, StarCraft matches between top professional players are broadcast on multiple television channels, and the Internet cafe is as ubiquitous a hangout as our sports bars. Major corporations (like Sony, Korea Air, Intel and others) offer sponsorships that total in the millions across leagues. Somewhere between 1998 and now, StarCraft in Korea passed a tipping point, and video game enthusiasts in the United States or elsewhere hoping to see video games rise to the same level of legitimacy as athletic competitions have pinned a lot of their hopes on the video game that has already made it once. North America already has plenty of professional gamers – Major League Gaming is the biggest name in the U.S. pro gaming circuits, but it is more diversified across titles, with a bigger focus on first-person shooters and fighting games. And while you still see the occasional six-figure payday in an MLG matchup in one of the more popular titles, MLG doesn’t stand up to the Korean leagues in StarCraft, nor does it carry their mystique or prestige. Korea also has all these other genres of games. The dominance of StarCraft there is perhaps overstated because its presence is so conspicuous, and the success of StarCraft 2 there on the level of StarCraft: Brood War is by no means a given. Plus, the World Cyber Games, while run by a Korean company, has moved its tournaments around the world for some time, and its last finals, in the United States, no less, awarded $250,000 in prizes in 11 games (among them CounterStrike, the other granddaddy of games that, along with StarCraft, has shown entirely unreasonable endurance over the years. So, there are a lot of holes in the StarCraft myth – but it’s still a compelling myth capable of shaping history. And maybe the North American Star League can help push that myth further into reality. Maybe. It has many pieces in place, but has not yet proven it can execute on its mission. It has a goal of broadcasting games with a high-quality stream and high-production values five nights a week on a consistent basis – something no professional gaming circuit in the United States does, but it has yet to prove it can do so reliably. The money is as yet the only differentiator worth noting – while InControl is certainly a big name in StarCraft, and while the money will bring the attention of top players, it lacks the cache of a confirmed top-tier caster like Day or Artosis, who are busy with many other one-off gigs. In pro gaming, commentary is very important. It is often more difficult to figure out what is going on, even if you know the game, than it is in, say, football or baseball, because the players may have different views and so much is happening on the screen at once, and there is no way to have a “sky cam” that sees everything at one time. Top-tier commentators are in-demand, and it seems hard to believe the North American Star League will succeed without hiring or developing a top-tier commentator. Perhaps the biggest draw of the North American Star League is the very likely presence of America’s most highly skilled pro gaming export, Greg Fields, a.k.a. “IdrA.” Fields is by far the most successful American StarCraft player – a few years ago, he declined a full ride to RPI to study theoretical physics to move to Korea and play StarCraft professionally. Among non-Koreans playing StarCraft 2 in Korea, he is only rivaled by Jonathan “Jinro” Walsh, a Swede who has beaten IdrA in several recent high-profile matches. 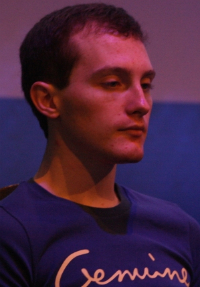 IdrA has a reputation for being very “BM,” or “bad mannered” in games, especially after losing. He is known for such affronts as refusing to type “GG” after losing a game or, more entertainingly, hurling obscenities at his opponents while complaining about imbalance in the game design. This is quite a step outside the norm in the even-tempered world of Korean professional gaming. “IdrA rage” is an institution among StarCraft fans, and IdrA-based memes are not too hard to find, even if you may have no idea what they mean. After one of the all-time StarCraft greats and huge general class-act, Lim Yo-Hwan, a.k.a. SlayerS_BoxeR (who in damatic Ted Williams-esque fashion left full-time professional gaming for a time to perform mandatory service in the Korean military) accidentally misspelled “Greg” as “Grack” in a chat, “Release the Gracken!” became a common call among StarCraft fans. In the professional wrestling parlance, where the good guys (like BoxeR) are “babyfaces,” IdrA is StarCraft’s biggest “heel” – a beloved bad guy very popular among fans, especially in the United States. IdrA recently announced plans to leave Korea and move back to the United States, most likely, according to speculation, to participate in the North American Star League. Why does this matter? It all comes down to what exactly eSports is and what it is trying to accomplish. Can you get professionals to play your game full-time? Well, if you pay enough, sure. Money can fix that problem. Can you create superstars and media personalities to serve as brand ambassadors and get people to connect with your activity on a personal level? While this is historically quite difficult with video games, guys like BoxeR and IdrA make it seem possible. I would add that, as someone who also follows the Magic: The Gathering professional scene, there are a number of professional players who do a very good job as brand ambassadors and sports-quality superstars; I’ve been very impressed with what Luis Scott-Vargas has built over at ChannelFireball in recent years, and there are dozens of others in that game. But ESPN2 broadcast Magic the Gathering more than a decade ago, and we all saw where that went. By which I mean nobody watched it. As far as personalities I think Day9 (not a pro-gamer but probably the biggest force for Starcraft 2 in America) and TLO (because his play style is kind of crazy) could also go a long way into solidifying the brand. Husky seems fairly well connected (strangely moreso than HD does, whose commentary I actually prefer since he is a better player) so I could see him getting involved with that, though at this point I feel like the mantle of “entertaining commenter that’s not that good at the game” goes to TotalBiscuit over Husky. Though of NASL could land Day9 that would be huge for them. He seems to be pretty international though. I imagine the pay would have to be pretty good to have him not go cast all the European tournaments he’s been doing. NASL is a big deal, but it’s not a silver bullet that will bring e-sports to the masses. It’s basically an online tournament that plays out over the course of weeks. Given latency, anyone playing from anywhere other than NA is going to be at a disadvantage. Many of the best players are in Korea (foreign or not), and there are many that won’t move to the US for something smaller and less sure than the GSL. That means it’ll include more approachable players (good) but not necessarily the best players (bad). The LAN format for the finals is great, but not having much in the way of fan access for that will make it worse than MLG which has said it is much more committed to the on-site fan experience this year. NASL may get more people to start watching, but it likely won’t keep them. The point of commentators in the article is extremely important. Day doesn’t have time to get involved in this endeavor, except perhaps for the finals. Artosis and Tasteless are too firmly rooted in Korea to move back to be involved. djWHEAT? He has other things going on too. That’s about it for the popular/knowledgeable commentators that have been omnipresent in the English speaking scene that the people in charge of NASL are likely to be interested in. Listen to State of the Game and you’ll hear what iNControl thinks of the YouTube stars like Husky, HD, and to some extent TotalBiscuit. These are people that have gotten a huge fanbase behind them, focusing on more exciting rather than analytical commentary. A mix of the two types is probably required to grab new fans and then keep them for the long haul. Examine what NASL will have going on and you’ll find that a bit of a miss. iNControl and Gretorp are the primary people (other folks swapping in occasionally). Neither are very exciting, or particularly fun to listen to. Anyone who has heard iNControl commentate before was just cringing the entire time during the “Clash of the Titans” showmatch that also hosted the announcement of the NASL. The pair just isn’t strong enough yet to keep anything but the dedicated, which won’t grow SC2 as a sport in North America. So…NASL is a good starting point. The money was absolutely necessary to give it legitimacy. The next step will probably be more of an in-place MLG style event in an area that has a large fan base. Only after that will it have a chance to become something bigger. There are a lot of problems that the management of NASL won’t likely see or try to fix that will probably prevent them from really taking it to the next level though. For shame. How did you reach that conclusion. Do you know me? Do you know Russ? Do you know any of our investors, sponsors, talent or other members of our leadership team? Doubtful, so how can you say that we won’t see problems or won’t fix problems? Where did you divine this? Can I use your crystal ball so that we can share that laser focused Groundhog-style fortune telling you seem to have a corner on? Okay so that was a rant, but my point is, All that’s happened is we’ve announced NASL and given some sketchy details. And although most of the community has embraced this for the groundbreaking event that it is, many have been out-and-out hostile toward the NASL. While I get part of it is the relatively young age of our community who are used to being spoon-fed Hollywood movies and TV or, more specifically, the more mature and polished GSL, which is 10 years our senior. There will be problems, we’ll go through growing pains. We’ll probably have to reinvent ourselves many times over as we move to the evolution of where we want eSports to be in North America. We’re in our baby steps of the NASL. We have a very experienced management team. Personally I’ve managed projects much larger than NASL is or even bigger than GSL is today. I’ve done media and press relations for 20 years. The CEO of NASL has managed multi-million dollar construction projects and is a natural leader that is also amazingly creative. We have good casters, devoted investors and a good team of paid and volunteer staff that will certainly grow with time. So relax. See what we’re about, give us five seconds to put up or shut up before you accuse, arrest, try, judge and sentence us for something that in your hearts we know you believe in, before it even fracking happens. Thanks for coming to comment! But still, you guys have a considerable challenge ahead of you – I wish you luck, and I hope you perform the execution necessary to make it all work. I’d love to see this be something big, and it seems like an interesting team with some cool energy behind it. I look forward to seeing what you can do! Thanks for your take. I wasn’t trying to be too down on it, and I wouldn’t classify myself as a “hater” as fenzel said, but rather more a skeptic. Without details, you’re more likely to polarize people. As things get running and everything becomes more clear, that’ll settle into more of a spectrum. It’s all based more on what we have to go with so far, which seems to be the release details, interviews with Geoff and Russ at G4, SotG, etc. I think NASL has the potential to really be something great…I’m just not convinced yet, and I likely won’t be until it’s going. Don’t get me wrong, I’m excited, I’ll probably be watching pretty consistently, and will make a decision to pay or not for the HQ stream/etc. once I see what it’s all about. I just worry about tunnel vision more than anything else. It’s certainly something we’ve seen with respect to enterprises like MLG and SC2, and I was hearing echoes of similar things from the NASL leadership/frontmen (I’m not saying NASL and MLG are related or that one will follow the other, I’m simply using that as an easy to follow example). This is concerning, but it’s not as if I’m about to go find a torch and a pitchfork. The growing pains you mention are inevitable with a venture like this, but so critically important as well. I really hope that things go smoothly, whatever adjustments need to be made are, fans respond (and pay), the venture becomes profitable and can sustain and grow to reach it’s potential. Still, the proof is in the pudding after all so we all have to wait and see. So…I’m happy to relax, but you relax too. NASL will be a game changer the same way WSVG, CPL, and CGI were game changers, which is to say a step in the right direction but doomed to failure due to the business reality that there is not a large enough market to sustain it currently and that its future growth is stunted by tremendous barriers to entry. I’ll briefly address both. SC2 has sold perhaps as much as 8 million copies in the US, while impressive, this figure relegates the potential viewership of SC2 as a spectator sport to be relatively small. While Husky, Day9 and other commentators can command relatively large subscriber bases on youtube and justin.tv, the ad dollars equate to what amounts to an aggregate of high five figures. It’s simply not enough to support a series of seasons that supports the sort of operations required to run a professionally casted event in a studio, let alone pay out six figures routinely. Growth of SC2 as a spectator sport has incredible challenges. While the poker analogy is admirable, the barrier to entry are black and white, with SC2 requiring a gaming pc, and internet connection, and general computer acumen whereas poker requires a $4 deck of cards. These barriers to entry are the same reason why console games outsell PC games 2 to 1. Good points, but I disagree that the number of potential viewers is solely the number of people that own Starcraft. There are plenty of viewers of TB, HD and Husky that admit that they don’t own the game, but just tune in because they think the videos are entertaining. I think if the NASL starts off slowly, does all their homework (like getting good players and having a business model) and gradually builds up their base then they could be successful. I think one of the advantages of SC in general is that it is moderately accessible. Players build up armies and then attack each other. It is not too hard to follow at a very simple level. Perhaps it would be a good idea for tournament organizers to provide basic level explanatory videos for new people. In contrast, I have seen competition first person shooter videos and I have no idea what is going on. You also mentioned Magic: the gathering. Well, as far as accessibility goes, that is not great. I have had it explained to me a couple of times and I never got it. I doubt I could pick it up from a watching a game. TO THE MAN WHO APPARENTLY IS BEHIND THE NASL AND WAS HERE COMMENTING OR ANYONE WHO IS KNOWLEDGABLE: WHERE CAN I FIND ALL THE INFORMATION I NEED SO THAT I CAN NAIL THIS THING? Some things to keep in mind. If you’re not in the top half of your Master’s division, you’re probably not one of the top 50 players we’re considering. Even if you are in the top half, that’s still a pretty big pool and you still may not be considered. But that’s okay. Because as you know toward the end of the season we’ll have an open qualifier and the top finishers in that will be invited into the next season, and the very top finalist will go to the Season one finals. We’re looking at some other methods that might work to ensure that any pro-gamer quality SC2 player has a chance to be in the league, but stay tuned for all of that.